Advice from an expert on the optimal beauty routine before your nuptials. It’s no secret that every bride wants to look and feel her best when she says "I do." Chances are, she’s put as much thought and effort into her gown, shoes, makeup artist, and hairstyle as the venue, caterer, and planner. But of course, as so many know, maintaining a bridal glow starts before you even put on a drop of makeup – skin care is of the upmost importance. We chatted with Marie Aspling, founder of Balans Organic Spa, to get her expert opinion on the “dos” and “don’ts” of a bridal beauty regimen to help you achieve your freshest face on the big day. Inside Weddings: Is there a beauty routine you often see busy women neglecting that they shouldn’t? Marie Aspling: I think it’s important to view beauty as a lifestyle. We need to think bigger and beyond just beauty products. To truly achieve the desired beauty results, we need to take an integrative and wholesome approach. For me, that approach includes healthy eating, good hydration, daily movement, and a regular skin care routine. - Begin each morning with a glass of lemon water and continue to drink water throughout the day. - Eat clean, wholesome food. Sit down to eat. Digestion and intestinal health will reflect on the skin. - Go to bed with a clean face, never leave makeup on. - Get 7-8 hours of sleep. There’s a reason why it’s called beauty sleep. The to-do list never ends so you might as well put it down and pick back up fresh in the morning! IW: What are some of your biggest tips when managing stress? MA: I have a few! - Never compromise self-care. No. Matter. What. Schedule time for yourself, even if it’s 15 minutes in the morning to enjoy a cup of coffee away from your phone and distractions. - Avoid multitasking. Focus on one thing at a time, complete it, and move on to the next. - If you find you’ve been pushing yourself too hard and are feeling run down, simply take one slow deep breath. Bringing awareness and connection back to your breath instantly shifts your energy, stress response, and focus. IW: Are there certain points you recommend a bride talk over with her makeup artist regarding her skin/beauty routine? MA: Ask what products they use. Many products deplete and damage the skin, high-end brands included. Makeup often congests and clogs pores leading to skin irritation and/or breakouts. Make sure your makeup artist is knowledgeable and can guide you through a clean and healthy skin care routine starting at least 2-3 months before the wedding. IW: What are your recommended beauty steps for a wedding-ready face leading up to a bride's big day? - Get on a wellness regimen that incorporates movement, massage, nutrition, and skin care (again, it’s all about the integrative approach!). Depending on your current condition you may want to start anywhere from 3 to 12 months prior to your wedding day. - Increase your water intake. - For your skin I would recommend to go for at least three facials starting 12 weeks prior to your big day (make sure to do the research for the best skin care place in your area). - Get on a skin care routine and use nourishing products morning and night. - To further detox and de-bloat try floatation therapy! IW: Is there anything further you'd like to mention about a successful bride's regimen? MA: I have mentioned it before but can’t stress it enough: beauty and health is a lifestyle. Eat and live clean. Move, laugh, and love. A healthy person with a positive outlook makes that person so much more attractive and beautiful! As for skin care and cosmetics, choose wisely. As consumers we often pay for the marketing and branding rather than the quality of the product. Read labels and make sure you are paying for high-quality ingredients that will serve your skin and health. Think of skin care the same way we view proper nutrition for the body. If you feed the skin cells nutrients, you will have healthy and vibrant looking skin. The same goes for the body: if you eat good food, you will look and feel your best. It really is as simple as that! 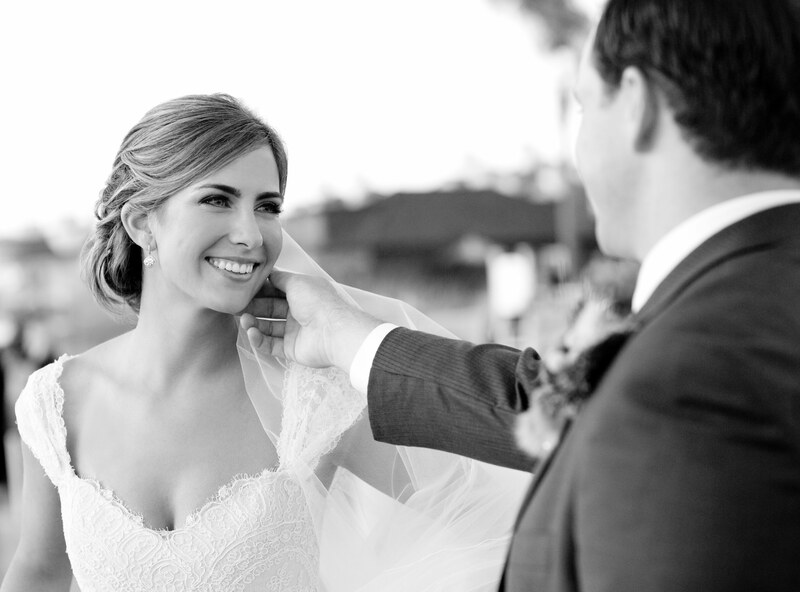 See some of our favorite skin care products and treatments for the summer here and here, and read quick tips on getting radiant skin for your nuptials! Born and raised in Sweden and resident of Boston since 2004, Marie Aspling founded Balans in 2010 with the mission to redefine the health and wellness industry. With her degree in Biomedical Science and pursuing a PhD in stem cell research she left the lab to dedicate her life to educate on proactive care. She believes many illnesses can be prevented with proper self-care. Marie is poised to share her extensive knowledge in health and wellness, and in a way that has never been done before. Through Balans she shows what it truly means to support our health, from within. Balans is now considered a lifestyle, which is embraced by many loyal believers.